Samuel Adams (September 27 [O.S. September 16] 1722 – October 2, 1803) was a statesman, political philosopher, and one of the Founding Fathers of the United States. As a politician in colonial Massachusetts, Adams was a leader of the movement that became the American Revolution, and was one of the architects of the principles of American republicanism that shaped the political culture of the United States. He was a second cousin to President John Adams. 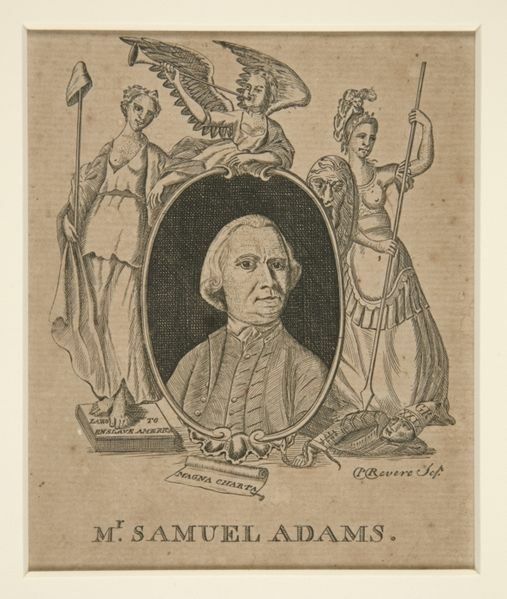 ADAMS, Samuel, b. in Boston, Mass., 27 Sept., 1722; d. there, 2 Oct., 1803. Among the grandsons of Henry Adams, the emigrant from Devonshire, were Joseph Adams, of Braintree, and John Adams, of Boston, a, sea-captain. The former was grandfather of President John Adams; the latter was grandfather of Samuel Adams, the statesman. The second son of Capt. John Adams, b. 6 May, 1089, was named Samuel, and in 1713 married Mary Fifield. Of their twelve children, only two, besides the illustrious Samuel, survived their father. 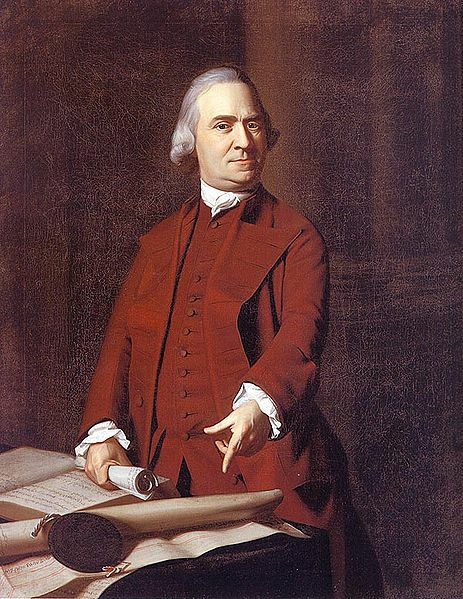 The elder Samuel Adams was a man of wealth and influence. He owned a large estate on Purchase street, with a noble mansion fronting on the harbor, and here the younger Samuel Adams was born. The father was a prosperous merchant and church deacon. Deacon Adams became a leading figure in Boston politics through an organization that became known as the Boston Caucus, which promoted candidates who supported popular causes.The Boston Caucus helped shape the agenda of the Boston Town Meeting. He was justice of the peace, deacon of the old South church, selectman, and member of the legislature. About 1724, in company with some friends, mostly sea-captains, shipwrights, and persons otherwise connected with the shipping interest, which was then very powerful, he founded a political club designed " to lay plans for introducing certain persons into places of trust and power." This institution was known as the " caulkers' club," whence the term " caucus" is supposed to have been derived. It was evidently from his father that the younger Samuel inherited the political tastes and aptitudes which, displayed amid the grand events of the revolution, were to"make him on the whole the most illustrious citizen that Massachusetts has ever produced. Young Adams was educated first at the Boston Latin school, then at Harvard college, where he was graduated in 1740. Very little is known of his college life, except that he was noted as a diligent student. He was fond of quoting Greek and Latin, after the pedantic fashion of the time. In 1743, being then twenty-one years of age and a candidate for the master's degree, he chose as the subject for his Latin thesis the question, " Whether it be lawful to resist the supreme magistrate if the commonwealth cannot otherwise be preserved"; and this question he answered in the affirmative. History has not told us how this bold doctrine affected Gov. Shirley and the other officers of the crown who sat there on commencement day and listened to it. It was the wish of the elder Samuel that his son should become a clergyman; but the son had no taste for theology and preferred the law. In those days, however, the law was hardly considered a respectable profession br old-fashioned New Englanders; and after a snort time Samuel yielded to his mother's objections and entered the counting-house of Thomas Gushing, a prominent merchant, father of an eminent revolutionary leader. Shortly afterward his father gave him £1,000 with which to set up in business for himself. He lent half of this to a friend, who never returned it, and lost the other half in bad bargains. Then he became partner with his father in a brewerv, but the business did not prosper. About this time the father lost the greater part of his fortune in a wildcat banking enterprise. In 1090, at the time of the disastrous expedition of Sir William Phips against Quelxc, Massachusetts had issued paper money, with the inevitable results. Coin was driven from circulation, and there was a great inflation of prices, with frequent and disastrous fluctuations. 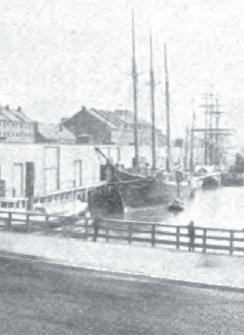 This led to complaints from British merchants trading to Massachusetts, and the governor was ordered by the board of trade to veto any further issue. 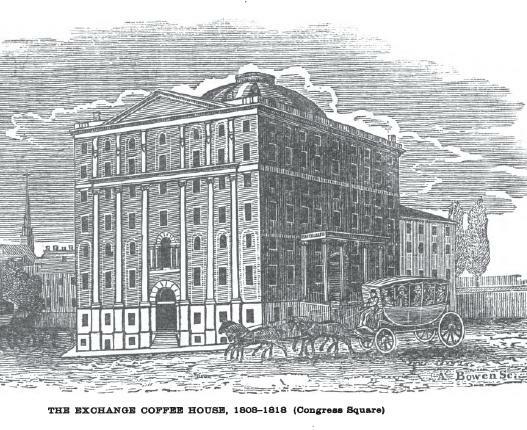 A quarrel ensued between the governor and the legislature, and, as the governor proved inexorable, two joint-stock banking companies were devised to meet the emergency. The one known as the " silver scheme," and patronized chiefly by merchants, undertook to issue £110,000 in notes, to be redeemed in silver at the end of ten years; the other, which was known as the land-bank, or " manufactory scheme," undertook to issue £150,000, redeemable in produce after twenty years. It was with the latter scheme that Mr. Adams's father was connected. There were 800 stockholders, and they not only controlled the Massachusetts legislature, but succeeded in compassing Gov. Belcher's removal. Their plans were nipped in the bud, however, by an act of parliament extending to the colonies an" act of the reign of George I. forbidding the incorporation of joint-stock companies with more than six partners. The two Massachusetts companies were thus obliged to suspend operations and redeem their scrip; and, as the partners were held individually liable, they were quickly ruined. Thus the wealth of the elder Adams melted away in a moment. The friends of the bank denounced this act of parliament as a violation of the chartered rights of the colony; and the question as to the extent of the authority of parliament in America began to be agitated. So in a certain sense Samuel Adams may be said to have inherited his quarrel with the British government. After the death of his father in 1748 he carried on the brewery by himself, and obtained from his political enemies the nickname of " Sammy the maltster." Presently, when he was made tax-collector for the town of Boston, these wits devised for him the epithet of "Sammy the publican." His office made him personally acquainted with everybody in Boston, and his qualities soon won for 'him great influence. He had all the courage and indomitable perseverance of his cousin, John Adams, but without his bluntness of manner. As an adroit political manager he was not surpassed by Jefferson, whom lie resembled in his thorough-going democracy. He hail a genuine sympathy for men with leather aprons and hands browned by toil; he knew how to win their confidence, and never abused it, for he was in no sense a demagogue. In the town-meeting he soon became a power, yet it was not until his forty-second year that his great public career began. In May, 1704, he drafted the instructions given by the town of Boston to its newly-chosen representatives with reference to Grenville's proposed stamp-act. These instructions were the first public protest in America against the right of parliament to tax the colonies. Next year he was himself elected to the legislature, where he remained till 1774, officiating as clerk of the house, and draftins: most of the remarkable state-papers of that aroid of fierce agitation. In the controversies first with Gov. 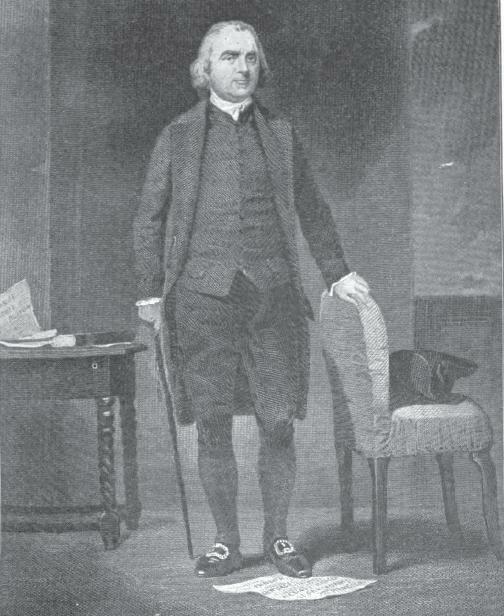 Bernard, then with his successor, Hutchinson, Samuel Adams was always foremost. On the passage of the Townsend acts in 1707, Adams wrote the petition of the Massachusetts legislature to the king, the letter of instructions to their agent in England, and the circular letter addressed to the other colonies, inviting their aid in the defense of the common rights of Americans. The king was especially enraged by this circular letter, and Gov. Bernard was directed to order the legislature to rescind it under penalty of instant dissolution. After several days' discussion the legislature, by a vote of 92 to 17, refused to rescind. This obstinacy had much to do with the decision of the British government to send troops to Boston in the hope of overawing the [icople of that town. On the morning after the famous "massacre" of 5 March, 1770, Adams was appointed chairman of a committee to communicate the votes of the town-meeting to the governor and council. More than 5,000 persons were present at the town-meeting, which was held in the old South meetinghouse, and all the neighboring streets were crowded. Lieut. Gov. Hutchinson, with the council, and Col. Dalrymple, commander of the two regiments, sat in the old state-house at the head of King street. When Adams presented the demand of the town meeting that the soldiers should be removed to the castle in the harrow, Hutchinson at first disclaimed any authority in the matter; but Adams reminded him that as acting governor of Massachusetts he was commander-in-chief of all troops within the province. Hutchinson consulted a while with Dalrymple, and at length replied that the colonel was willing to remove one of the regiments in order to appease the indignation of the people. 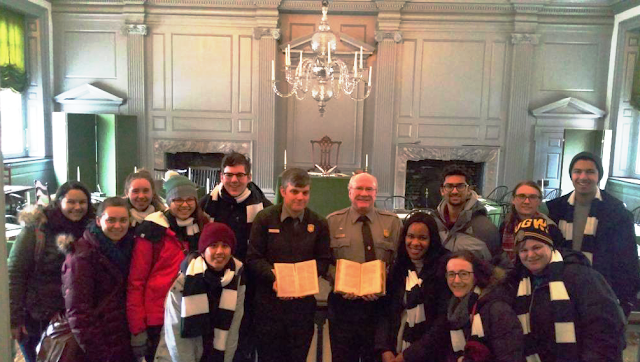 The committee, led by Adams, returned to the church with this message, and as they proceeded through the crowded street, Adams, bowing to right and left, passed along the watchword, " Both regiments or none!" When the question was put to vote in the church, 5,000 voices shouted, "Both regiments or none!" Armed with this ultimatum, Adams returned to the state-house and warned Hutchinson that if he failed to remove both regiments before nightfall he did so at his peril. Hutchinson was as brave and as obstinate as Adams, but two regiments were powerless in presence of the angry crowd that filled Boston, and before sunset they were removed to the castle. These troops were ever afterward known in parliament as the ".Sam Adams regiments." 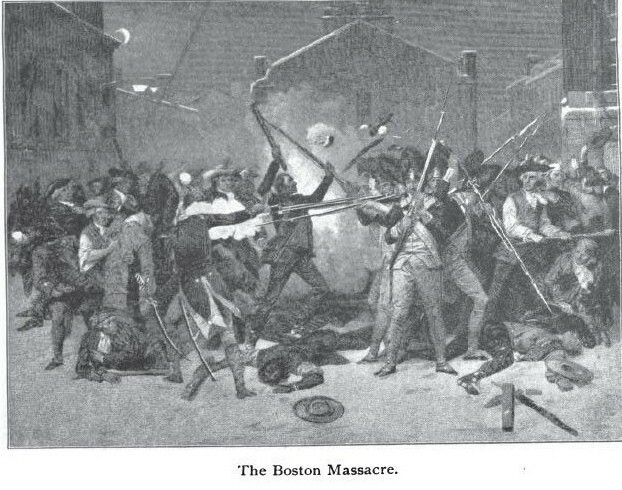 In 1772 the government ventured upon a step that went further than anything that had yet been done toward driving Massachusetts into rebellion. It was ordered that the judges, holding their offices at the king's pleasure, should henceforth be paid by the crown and not by the colony. This act, which aimed directly at the independence of the judiciary, aroused intense indignation. The judges were threatened with impeachment if they should dare to accept a penny from the crown. Mr. Adams now had recourse to a measure that organized the American revolution. The people of Boston, in town-meeting, asked Hutchinson to convene the legislature to decide what should be done about the judges' salaries. On his refusal, Adams proposed that the towns of Massachusetts should appoint "committees of correspondence" to consult with each other about the common welfare. Such a step was strictly legal, but it virtually created a revolutionary legislative hourly, which the governor could neither negative, dissolve, nor prorogue. Within a few months eighty towns had chosen their committees of correspondence, and the system was in full operation. Hutchinson at first scoffed at it, for he did not see to what it was leading. The next spring Dabney Carr, of Virginia, moved that inter-colonial committees of correspondence should be formed, and this was soon done. But one more step was needed. It was only necessary that the inter-colonial committees should assemble in one place, and there would be a continental congress speaking in the name of the united colonies, and if need superseding the royal governments. 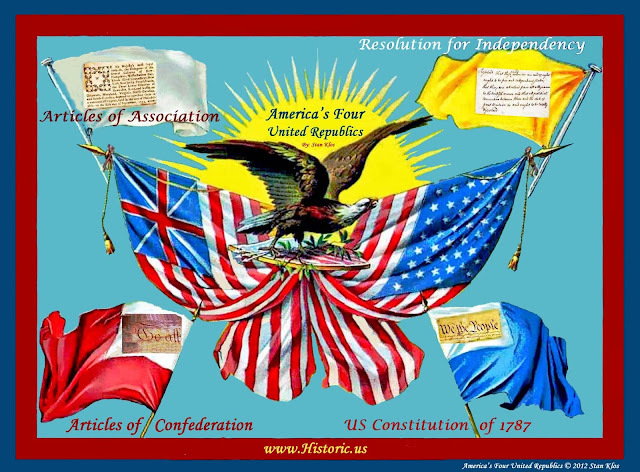 By such stages was formed the revolutionary government that declared the independence of the United States and administered the affairs of the new nation until 1789. It was Samuel Adams who took the first step toward its construction, though the idea had been first suggested in 1705 by the great preacher Jonathan Mayhew. In order to provoke the colonies to assemble in a continental congress, it was only necessary that the British government should take the aggressive upon some issue in which all the colonies were equally interested. The sending of the tea-ships in 1773 was such an act of aggression, and forced the issue upon the colonists. The management of this delicate and difficult affair, down to the day when Massachusetts virtually declared war by throwing the tea into the harbor, was entirely in the hands of the committees of correspondence of Boston and five neighboring towns, with the expressed consent of the other Massachusetts committees and the general approval of the country. 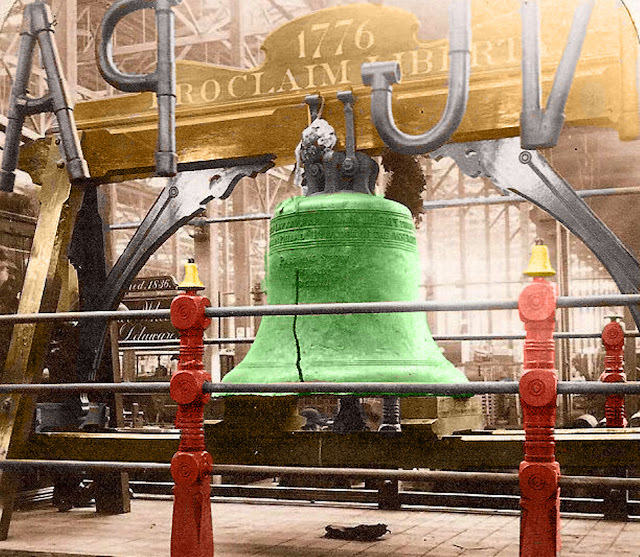 In this bold act of defiance Samuel Adams was from first to last the leading spirit. He had been the first of American statesmen to come to the conclusion that independence was the only remedy for the troubles of the time; and since 1768 he had acted upon this conviction without publicly avowing it. The "Boston tea party" made war inevitable. In April, 1774, parliament retorted with the acts for closing the port of Boston and annulling the charter of Massachusetts. This alarmed all the colonies, and led to the first meeting of the continental congress. In this matter the other colonies invited Massachusetts to take the lead, and the work was managed by Mr. Adams with his accustomed shrewdness and daring. When the legislature met at Salem, 17 June, 1774, in conformity to the new acts of parliament, he locked the door, put the key into his pocket, and carried through the measures for assembling a congress at Philadelphia in September. A Tory member, feigning sudden illness, was allowed to go out, and ran straight to the governor with the news. The governor lost no time in drawing up the writ dissolving the legislature, but when his clerk reached the hall he found the door locked and could not serve the writ. When the business was accomplished the legislature adjourned sine die. It was the last Massachusetts legislature assembled in obedience to the sovereign authority of Great Britain. The acts of April were henceforth entirely disregarded in Massachusetts. 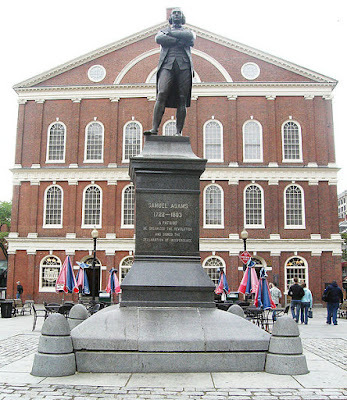 Samuel Adams and his cousin John were delegates to the first continental congress. They knew that Massachusetts was somewhat dreaded and distrusted by the other colonies, especially by Pennsylvania and New York, on account of her forwardness in opposing the British government. While there was genuine sympathy with her situation, there was at the same time great reluctance to bringing on a war. The rigid puritanism of Massachusetts was also held in disrepute. Samuel Adams felt it necessary to be conciliatory, and it was easy for him to be so, for he was large-minded and full of tact. A motion to open the proceedings of the congress with prayer was opposed by John Jay. on the ground that Episcopalians, Congregationalists, Presbyterians, Baptists, and Quakers could hardly be expected to unite in formal worship. Then Samuel Adams got up and said, with perfect sincerity, that " he was no bigot and could near a prayer from a gentleman of piety and virtue who was at the same time a friend to his country. He was a stranger in Philadelphia, but he had heard that Mr. Duche deserved that character, and therefore he moved that Mr. Duche, an Episcopal clergyman, might be desired to read prayers to the congress." This was a politic move, for it pleased the Episcopalians, who were the dominant sect in New York, Virginia, and South Carolina; and it produced an excellent impression in Philadelphia, where Duche was the most popular preacher of the day. It was thought that the men of New England "were not so stiff-necked as had been generally supposed, and there was a reaction of feeling in their favor. Toward the end of the following winter Gen. Gage received peremptory orders from the ministry to arrest Samuel Adams and " his willing and ready tool." John Hancock, and send them over to London to be tried for high treason. A London newspaper predicted that their heads would soon be exposed on Temple Bar. It was intended to seize them at Lexington on the morning of 19 April, but, forewarned by Paul Kevere, they escaped and made their way to Philadelphia in time for the second session of the continental congress. For the next eight years Mr. Adams took an active and important part in the work of the congress. Probably no other man did so much as he to bring about the declaration of independence. He had a considerable share in framing the state constitution of Massachusetts adopted in 1780. After the close of the war he opposed the strengthening of the federal government, through fear of erecting a tyranny that might swallow up the local governments.' Like Patrick Henry, Richard Henry Lee, and others who had been foremost in urging on the revolution, he was ranked among the anti-federalists. In 1783 he wrote Elbrige Gerry a candid candid and impassioned letter expressing his hopes for the Confederation Congress and his fears of a Treasury department corrupted by powerful money interests. " The Welfare, & perhaps the Being of the United States, in my opinion, depends much upon Congress possessing the confidence of the People at large," It is crucial that the people see "the administration of publick affairs being manifestly grounded upon principles of equality & justice" in order for Congress to "merit their confidence." The "Congress...is & must be the cement of the Union of the States." "The war is now over, and the People turn their eyes to the disposition of their money. A subject which I hope Congress will always have so clear a knowledge of, as to be able at any time to satisfy the rational inquiries of the People... Power will follow the possession of money even when it is known that it is not the possessors of property." The role of the nation's chief finance minister must be impeccable, he continues "Should a suspicion prevail that our high Treasurer suffers men of bad principles, or of no principles to be about him & employed by him, the fidelity of Congress itself would be suspected and a total loss of confidence would follow...Were our Financier, I was going to say, even an Angel from Heaven, I hope he will never have so much influence as to gain the ascendancy over Congress which the first Lord of the Treasury has long had over the Parliament of Britain; long enough to effect the ruin of that nation." 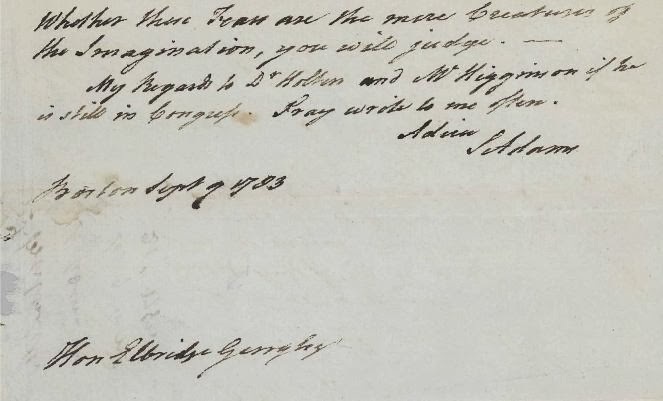 Autograph letter signed "S. Adams" To Elbridge Gerry, Boston, 9 September 1783. Although fellow Confederation Congressmen assure Adams this would never happen. He is not so sure and writes Gerry that. "Whether these fears are the mere creatures of the imagination, you will judge." 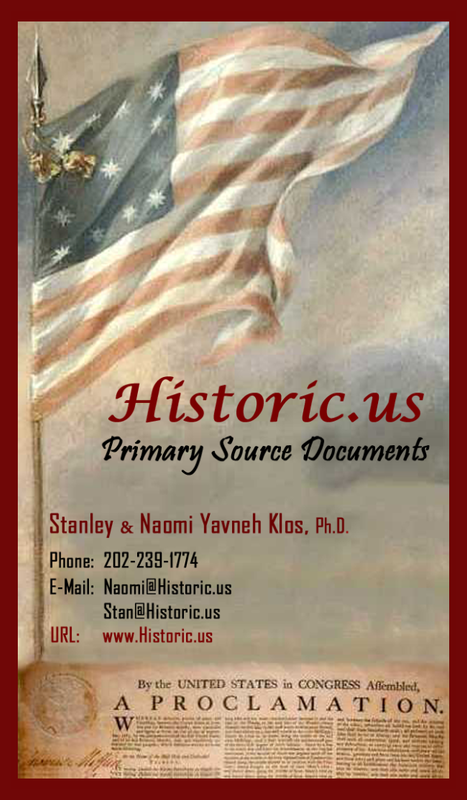 Unlike Patrick Henry, and Richard Henry Lee, however, he did not actively oppose the new constitution of 1787. In the Massachusetts convention of 1788, for considering the federal constitution, he was by far the most influential member. For two weeks he sat in silence listening to the arguments of other members. Then he decided to support the constitution and urge its ratification unconditionally, but with a general understanding that Massachusetts would submit to the new congress sundry amendments equivalent in effect to a bill of rights. His decision carried the convention in favor of ratification by the narrow majority of 187 yeas to 108 nays. But for this ratification on the part of Massachusetts the constitution would not have been adopted, and of all the great services rendered by Samuel Adams to his country none was greater than this. The example of Massachusetts in proposing amendments was followed by other states, and it was thus that the first ten amendments, declared in force 15 Dec., 1791, originated. "His stature was a little above the medium height. He wore a wig, cocked hat, buckled shoes, knee-breeches, and a red cloak, and held himself very erect, with the ease and address of a polite gentleman. On stop1 ping to speak with any person in the street his salutation was formal yet cordial. His gestures were animated, and in conversation there was a slight tremulous motion of the head. His complexion was florid, and his eyes dark blue. The eyebrows were heavy, almost to bushiness, and contrasted remarkably with the clear forehead, which, at the age of seventy, had but few wrinkles. The face had a benignant but careworn expression, blended with a native dignity (some have said majesty) of countenance which never failed to impress strangers." In conversation he was entertaining, and possessed a great fund of anecdote. He was frugal, temperate, and incorruptible. His capacity for work, as seems to have been the case with all of his illustrious family, was prodigious. In religion, unlike his cousin John, he was a strict Calvmist. He was twice married, first in 1749 to Elizabeth Checkley, daughter of the pastor of the new South church. She died in 1757, and in 1764 he married Elizabeth Wells, daughter of an English merchant who had settled in Boston in 1723.